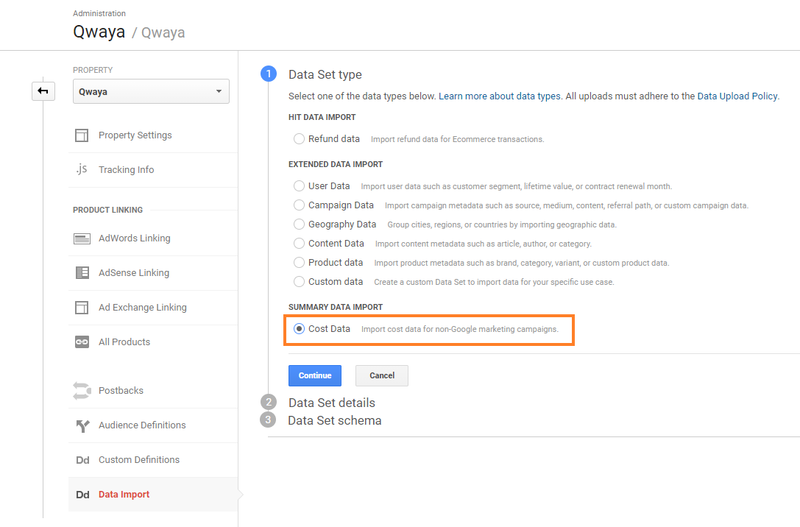 This article will teach you how to create a Data set for Funnel's Google Analytics data upload. It is quite straight-forward, but pay attention to the configurations you need to make as the upload won't work if the Data set is configured incorrectly. Click "Create" to begin creating your Data set. A Data set can be of different types, and for Funnel's upload to work the Data set must be of type "Cost Data", which is found at the bottom of the list. You can use the Data set in multiple Views, and you will be able to change this setting later. This is the most important step to get right as Funnel's Google Analytics uploader depends on it. Before making any settings the schema will look like the first image below, and when you're done it should look like the second image. 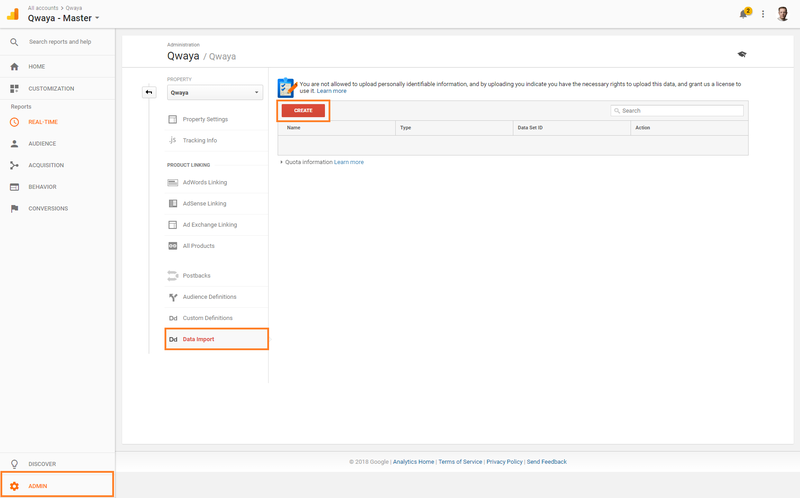 The first two settings makes sure Google Analytics is prepared for receiving the correct metrics. The third makes sure your data won't compound when Funnel uploads data for dates that have been previously uploaded. The ad account data might be subject to slight changes retroactively and Funnel therefore uploads data for some time back for each upload. If the "Import Behavior" is set to Summation this would mean that your cost, impressions and clicks would keep increasing with each upload. After hitting "Save" the page should look like the first image below and this means you're done. Your Data set is ready to use. If navigating back to "Data Import" you can find your new Data set in the list.